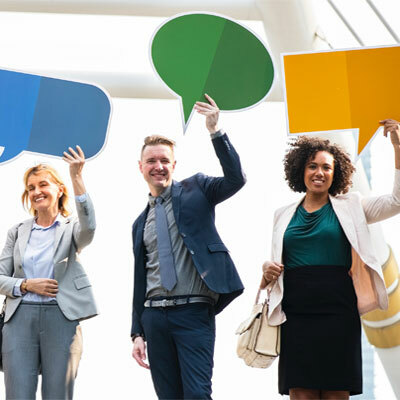 CfD Forum – we want your views! Please come to our forum event to give your feedback on our service and share ideas about what makes a Deaf friendly city. When: The event is between 10.30am and 1pm on Monday 13th May. 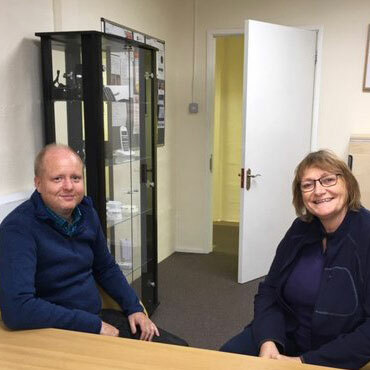 Equipment Service – feedback and views from our current and past clients (Deaf and Hard of Hearing) and ideas for improvements. Deaf Friendly City (for Deaf and Hard of Hearing residents and visitors) – what make a city Deaf Friendly? What are the main barriers in Bristol for Deaf and Hard of Hearing people? Tea, coffee and cake will be available and everyone attending will receive a £10 Love2shop voucher as a thank you for your time. We hope you can join us. Your views will help us develop our service and support our work to build a Deaf friendly city. Numbers are limited so please contact us to book a place. BSL Interpreters and Speech to Text operators will be available on the day. If you have any other access needs, please do let us know. We are very grateful to solicitors Burges Salmon, who have kindly offered to host the forum at their office in central Bristol. Come and join us at our next coffee morning! Our next coffee morning takes place on Tuesday 7 May and we do hope you can join us. We meet at the Bowl of Plenty cafe on the ground floor of the Colston Hall. Our coffee mornings are open to all Deaf and Hard of Hearing people and take place regularly between 10.30am and 12.30pm on the first and third Tuesday of the month. This a great opportunity to get together with other Deaf and Hard of Hearing people to relax over a cuppa and share experiences and discuss solutions. Everyone is welcome: Deaf or Hard of Hearing and partners and friends can of course come too. No need to book – just turn up! We meet on the first and third Tuesday of the month and here’s a list of upcoming dates for the next few months – get them in the diary! Tinnitus is the experience of hearing sounds in the ear, which have no external source. These can be a range of different sounds such as ringing, whooshing, humming or buzzing. For some people the sounds can be continuous and for others they may come and go. According to the British Tinnitus Association, 30% of people experience tinnitus at some point in their lives and the number of people who live with persistent tinnitus is approximately 10%. The causes of tinnitus are not yet fully understood but two-thirds of people who have the condition also have a hearing loss and so this may be a factor. When there is hearing loss, the amount of signals sent to the brain change and it is thought that the hearing part of the brain then tries hard to gather more information from the ear. This extra information may create sounds, which are what we experience as tinnitus. However, not everyone with tinnitus has hearing loss and it can also be triggered by stress, exposure to loud noises and problems such as an ear infection or wax blocking the ear. 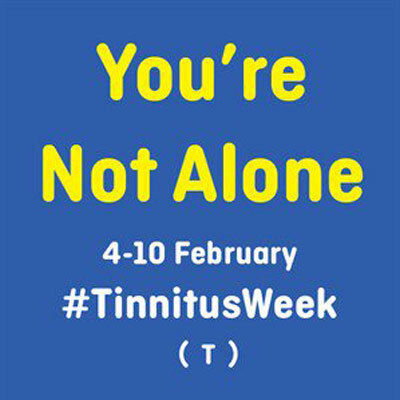 This week is Tinnitus Week and this year the British Tinnitus Association are highlighting the isolation that tinnitus can cause. A recent survey by the organisation revealed more that 60% of people with tinnitus feel isolated. If you are affected by the condition, please know that you are not alone and there is help and support out there. Start off by talking to your GP if you think you may have tinnitus. They will check your ears and refer you to a specialist for tests and support if required. 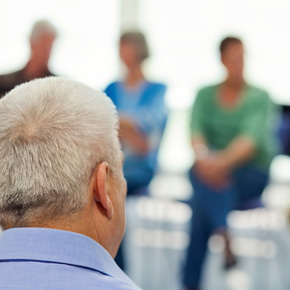 You may like to talk to other people with the condition and in Bristol there is the Bristol Tinnitus Support Group, which meets every two months in Bradley Stoke. For more information and advice on managing tinnitus, take a look at the British Tinnitus Association website, which has a range of excellent resources available. 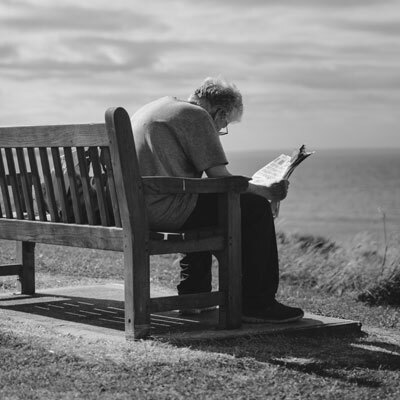 We are pleased to be supporting Dr Paul Willis of the University of Bristol in his research into how older men experience and combat loneliness in later life. On 31st January we will be hosting a workshop led by Dr Willis, which will be an opportunity for older men who are Deaf or Hard of Hearing to come together with service providers to explore the issue of loneliness and social isolation. This free workshop will be held here at the Vassall Centre between 9.45am and 1pm and lunch is provided. BSL interpreters will be available throughout the event. 1. Receive an overview of emerging findings from the Older Men at the Margins Project at the University of Bristol: a 2-year research project exploring older men’s (65+ years) experiences of loneliness and social isolation from hard-to-reach or seldom heard groups (gay men who are single and living alone, men with hearing loss, men who are carers for significant others, men who are single and living alone in rural/ urban areas). The project team has completed over 100 interviews with men from these different groups living across South West and West England. The project is in collaboration with Age UK and funded by the NIHR School for Social Care Research to 2019. 2. 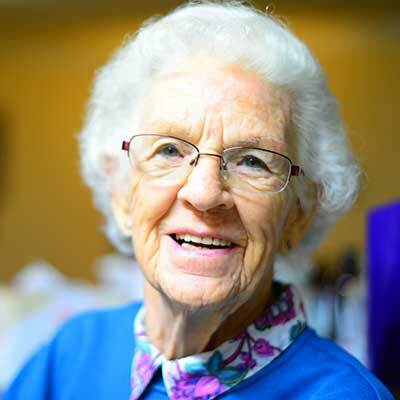 Hear from Age UK (national charity for older people) about some of their current initiatives to combat loneliness and social isolation amongst older people in England. 3. Have an opportunity to explore and identify together current gaps in service provision in helping to reduce loneliness and social isolation amongst men with hearing loss and what new initiatives may be needed. If you would like to take part in the workshop and share your experiences, please sign up online by going to this Eventbrite page. NB. If you are a man 65+ years of age, your travel expenses to this event can be reimbursed. Please contact Alex Vickery by email at alex.vickery@bristol.ac.uk or telephone 0117 954 6773. 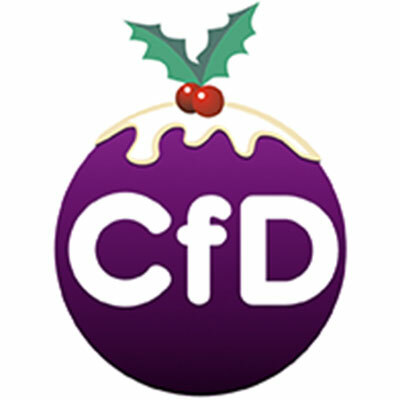 Season’s greetings from all of us on the team at CfD. We’re getting in the festive spirit here this week as you can see in the photo with us all dressed up in our Christmassy jumpers and hats! We wish you a very happy Christmas and a wonderful New Year. Please note our office and equipment resource room will be closed for the holidays between 24th December and 1st January. We look forward to working with you again when we re-open on Wednesday 2nd January. The Sensory Impairment Team will hold their drop in session at the Vassall Centre here as usual on Thursday 20th December between 2 and 5pm. 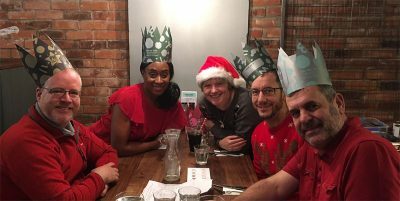 The sessions will then stop during Christmas week, so there will be no session on 27th December and the team will be here again in the New Year on Thursday 3rd January. We warmly invite you to join us at our Annual General Meeting, which is on Thursday 22 March between 6 and 8pm. The AGM will be held at Room 14, Veale Wasbrough Vizards LLP, Narrow Quay House, Narrow Quay, Bristol BS1 4QA. This year we are delighted to welcome Ben Willis and Murray Holmes as our guest speakers. Ben Willis is a lawyer and a partner at Veale Wasbrough Vizards, where he is Head of the Healthcare team. Ben will speak about his experience of becoming hard of hearing as an adult and how he has adapted to living with hearing loss. Murray Holmes, who is a former Vice President of the British Deaf Association, will talk about his work and about current issues in the Deaf community. During the evening we will also attend to regular AGM business and we hope you will be able to join us as we reflect on our progress over the last year and discuss our plans for the future. Many thanks to Veale Wasbrough Vizards for kindly allowing us to host this year’s AGM at their office in central Bristol. We will soon be running fortnightly coffee mornings for Deaf and hard of hearing people in the Bristol area. We’re looking forward to launching the coffee mornings very soon and we’re now looking for volunteers to help us run these sessions, which are all about providing an opportunity for the deaf and hard of hearing community to socialise and share experiences. 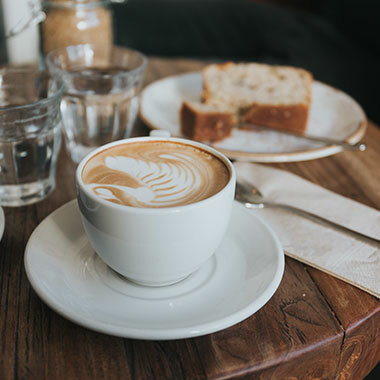 The coffee mornings will be on a weekday morning at a café in central Bristol and we’re looking for volunteers who can welcome people, provide practical support and help to create a friendly relaxed environment. Ideally we would like someone with knowledge of British Sign Language but this is not essential. Training will be provided and we can cover expenses for travel and refreshments. If you have some free time available to get involved, we’d love to hear from you! A new project has been launched to ensure that older people across the city are able to get the support they need. The First Contact Checklist is designed to enable the first organisation in contact with an older person to easily refer them on to other services from which they might benefit. This could include things such as getting advice on energy bills, a benefits entitlements check or a home and fire safety assessment. The project brings together organisations such as Avon Fire and Rescue Service, Bristol Community Health and other local advice agencies and charities, including us here at the Centre for Deaf and Hard of Hearing People (CfD). The way it works is that if, for example, a firefighter visits to check an older person’s fire alarms, they might notice that they are having difficulty hearing. 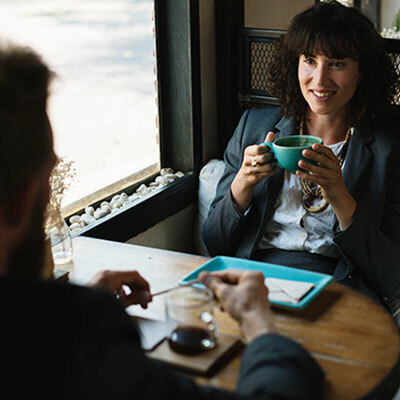 They can then contact the First Contact Checklist Coordinator to arrange a referral to CfD and we can provide advice and support on managing hearing loss. The project is an initiative of Bristol Ageing Better as part of their work developing ways of identifying isolated and lonely older people. They ran a successful pilot project in summer 2016 and the project is now being delivered by the Care Forum, which coordinates checklist referrals across Bristol.